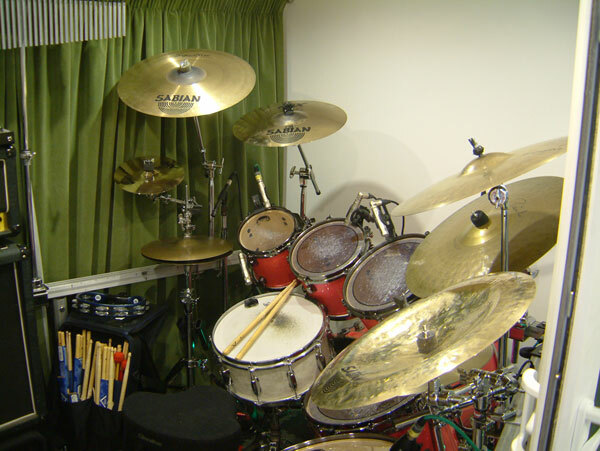 It is true that having the best gear that money can buy does not guarantee a hit record. However if you have the talent and the performance material we want to offer you the very best way to capture, edit and master your work. The studio is based around an Intel Mac Pro running ProTools 11 with HDX card. The processing of the HDX system is complimented by an internal UAD-2 Quad processing card and a new external UAD-2 Quad Satellite processor with ALL the UAD plug-ins. We think this is enough power for even the post demanding of projects. We use industry standard Avid HD I/O 1616 interfaces to allow us to record up to 32 microphones at a time (enough even for the most vast of drum kits). This also allows us to offer each band member their own monitor mix. In place of a mixing console we use Euphonics Artist series controllers. These not only save space, but offer a much faster way of working with most of the software we use for recording and editing. We try to keep up with the latest trends in recording technology. 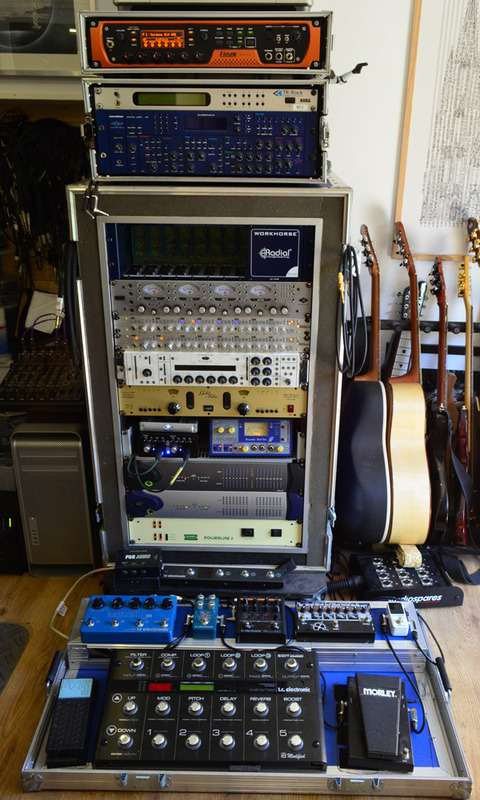 To this end for most guitar recording we use the Avid Eleven Rack. It sounds amazing. We have 2 amps which sound great. 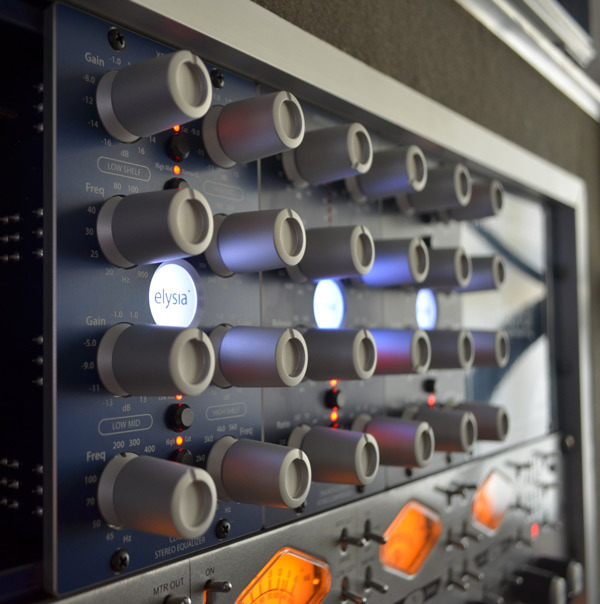 But the Eleven Rack offers 22 of the greatest most sort after amp models ever built in a very versatile unit. Guitarists, unless you have something out of this world leave your amps at home. This thing sounds better. 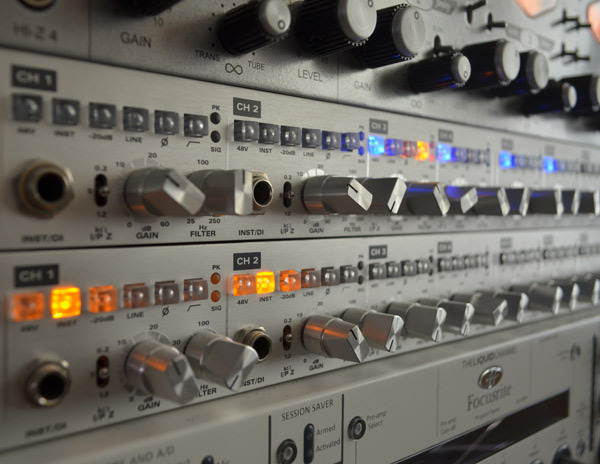 We have a wide range of outboard hardware by TC Electronic, SPL, and Avid, M Audio, Sontronics, Universal Audio and many of the greatest sounding plugins by Sonox, Digidesign, Focusrite, AIR, McDSP, Waves, Softube, UAD and many more. At Location Recordings we try to be about recording real instruments but when you want something out of this world or out of your budge you can call on some of our massive library of sampled and virtual instruments by names such as East West, Vienna, AIR, Native Instruments and G-Force. We also have an ever growing number of hardware synths and sound modules like the Korg TR Rack, Korg Karma, Novation Supernova, Avid Venom and the amazing NI Maschine. 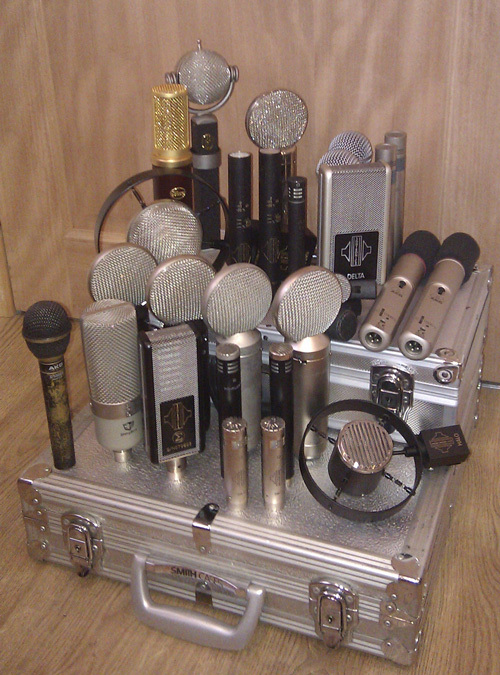 The microphone collection is ever growing. We have modern classics to workhorses by Neumann, AKG, Sennheiser, Shure, Sontronics, SE, M Audio, Shiney Box and Blue. We always try to offer performers the very best. 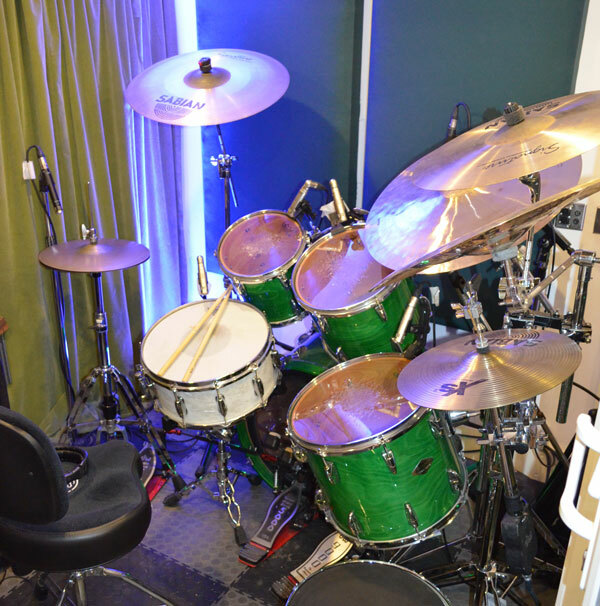 To that end we have a collection of great instruments and effects that are available to use on your session. Fender 89 Strat Plus, Gibson Les Paul Standard, Partick Eggle Berlin Pro II, Patrick James Eggle Saluda (Steel string acoustic), Brian Moore i7 (with Hex Pickup), Yamaha TRB5 (5 string bass), Gretsch Lap Steel, Fender 60th Anniversary Telecaster, 70’s era Matrix Bowel Back Acoustic, 80’s Epiphone Sheraton (335 copy). Les Paul, Gretsch, PJE Acoustic, Green Eggle, TRB5, Strat. Yamaha Beech custom 5 piece (20” kick), Tama Star classic BB 7 peice (22” kick). Marshall JCM800 + 2×12 Cab, Engl Gig Master. TC Electronic RH750 + 2×10 cab. 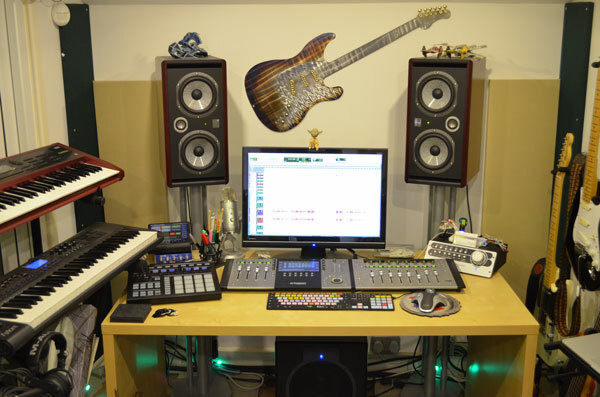 We like to think of the studio as a place where almost any musical sound is achievable.